Deliver affectionate wishes and prayers for the people you love by ordering for them this Designer Bhaiya Bhabhi Rakhi Set Filled with Happiness supplemented with a Rakhi, Roli Tilak and Chawal free of cost. This Round shaped Rakhis are perfect to convey your special sentiments to your dear ones on the special occasion. 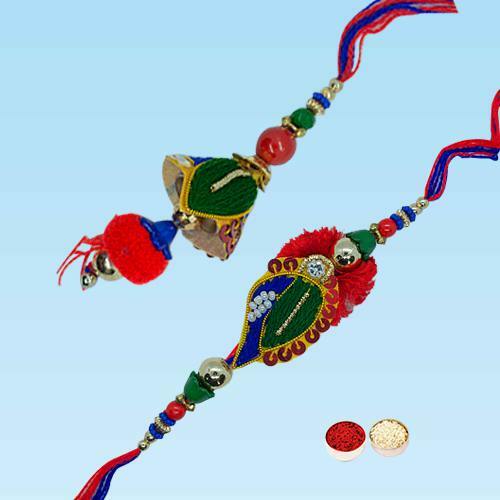 This Rakhi may be available in different design.